Works with all Wayne Dalton Quantum classic drive, Wizard, iDrive and Door Master models. 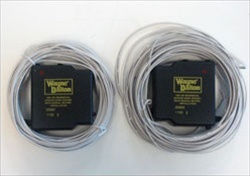 Includes right and left sensors with wire only. Thanks for great service and great price. Received my order yesterday 12/16/13.